Can vitamin D insufficiency impact diseases in older individuals? Researchers reviewed the role of vitamin D insufficiency and how it may link to other diseases in older individuals. Vitamin D has many effects on the body, including maintaining muscular health and aiding calcium absorption. The synthesis of vitamin D in the body largely depends on the intensity of exposure to solar radiation, thus vitamin D production in the body depends on weather conditions, geographic latitude, time spent outdoors, and sunscreen use. Natural foods with vitamin D are highly limited, making vitamin D insufficiency a common issue among many. In a review published in the German journal Zeitschrift für Gerontologie und Geriatrie, researchers discussed how vitamin D insufficiency affects other health conditions in older individuals. In Germany, from October to March, the sunlight is too weak to allow for the proper synthesis of vitamin D. The ageing population in Germany has a very high prevalence of vitamin D insufficiency. Among this population, 27% of men and 33 % of women between 65-79 years of age are classified as vitamin D deficient. Synthesis of vitamin D by the skin requires the presence of a precursor in the body, termed 7-DHC. I In previous studies where scientists have investigated skin obtained surgically, they found that the skin of older individuals contains less 7-DHC per cm square and gram of skin than younger individuals. This led to the conclusion that the concentration of 7-DHC in the skin declines with age, and hence the capacity of older skin to produce vitamin D is reduced as well. However, since this finding is only based on six values from six skin samples, scientists are uncertain if older and younger individuals do differ significantly in the skin’s capacity to produce vitamin D.
Another important investigation is regarding vitamin D and its association with bone health. Fractures are a serious problem for older people and identifying risk factors is important to devise effective prevention strategies. Many older people take vitamin D supplements to facilitate intestinal absorption of dietary calcium. Studies have shown that people who suffer from vitamin D insufficiency can benefit from vitamin D supplements and exhibit better bone mineralization. In addition, previous studies also found that vitamin D deficiency leads to increased bone fractures. While fractures are a common complication of a medical condition called osteoporosis, where mineral density is less in bones, fractures also occur in patients who do not meet the diagnostic criteria for osteoporosis set by the World Health Organization. A recent study examining the micro-architecture of bones in fracture patients without osteoporosis noted that bones of patients without classical osteoporosis had less thickness than that of those with the condition. It is possible that a considerable number of fractures can also occur without bone demineralisation being diagnosed. The causal role of vitamin D in muscle frailty has yet to be established. 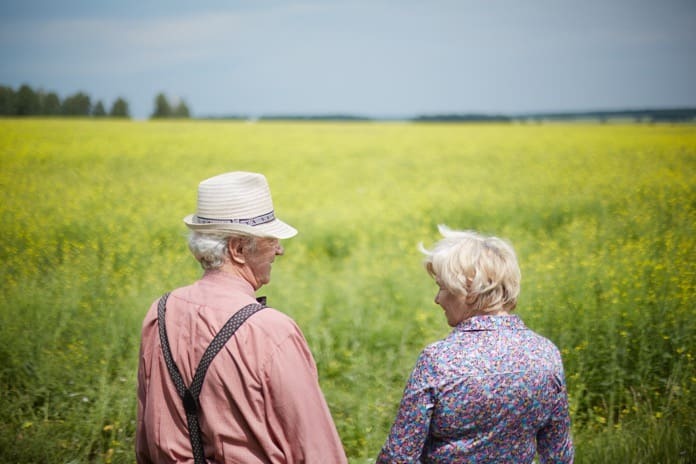 In fact, the criteria for frailty such as physical inactivity and weakness is associated more with an insufficient ability to spend time in activity outdoors. One can conclude then that low vitamin D is a consequence of frailty rather than a cause of frailty. Another important conclusion is a link between Vitamin D and respiratory tract infections, wherein it was observed from studies that Vitamin D supplements reduce the risk of acute respiratory tract infections. The main measure of vitamin D is done based on studies of the 25(OH) D level, which is dependent on a number of lifestyle factors including physical activity, time spent outdoors, mobility and body weight. Whether vitamin D supplements given at a younger age can reduce fractures at an older age is debatable, however, it is beneficial in respiratory tract infections and asthma. There is, however, a need for more high-quality randomized controlled trials rather than association studies to confirm the associations. Reference: Kühn, J., Trotz, P., & Stangl, G. I. (2018). Prevalence of vitamin D insufficiency and evidence for disease prevention in the older population. Zeitschrift für Gerontologie und Geriatrie, 1-6.